The witching hour is almost upon us, and what am I doing? Making ice cream. Black licorice ice cream, to be exact. I was never really a fan of black licorice until I got older. I feel like one day I just woke up and started liking it. Weird? Maybe. 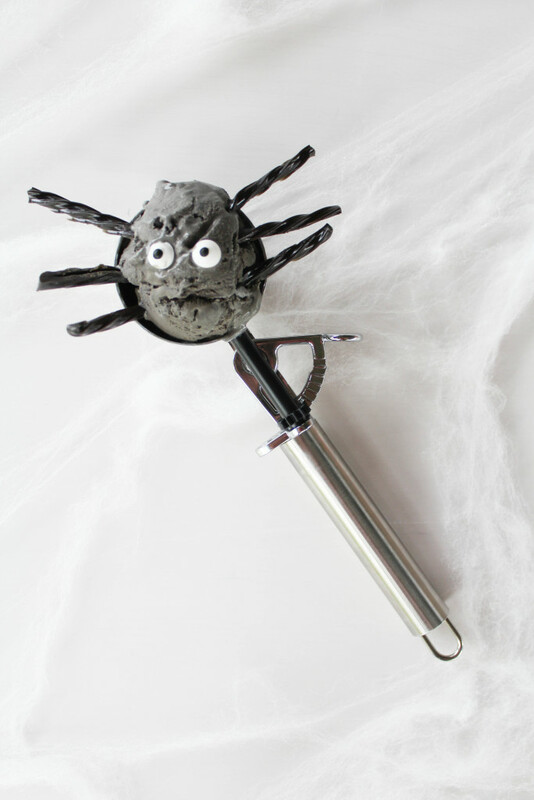 But either way, I’m sold now and I couldn’t let Halloween pass by without concocting a little bit of my own black magic. And that something turned out to be eyeballs and some creepy legs. 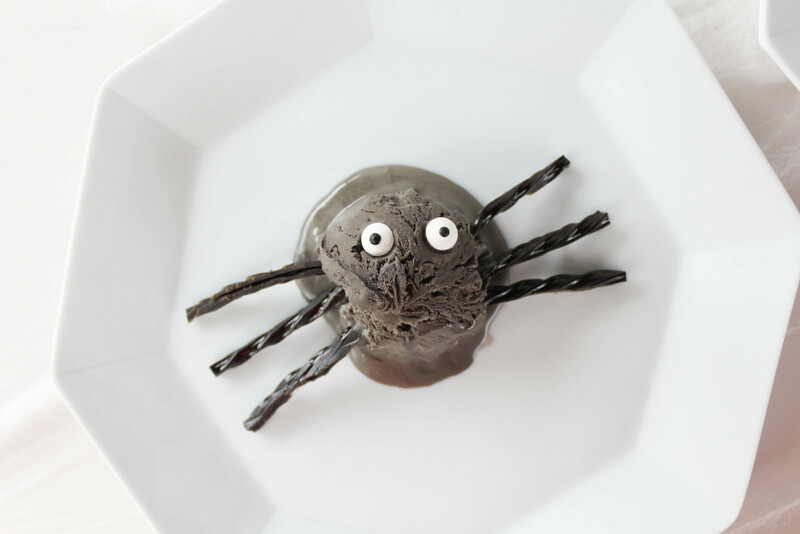 And before I knew it, black licorice ice cream spiders were born! Ok, they might not be all that spooky, but they are super cute. And delicious to boot. 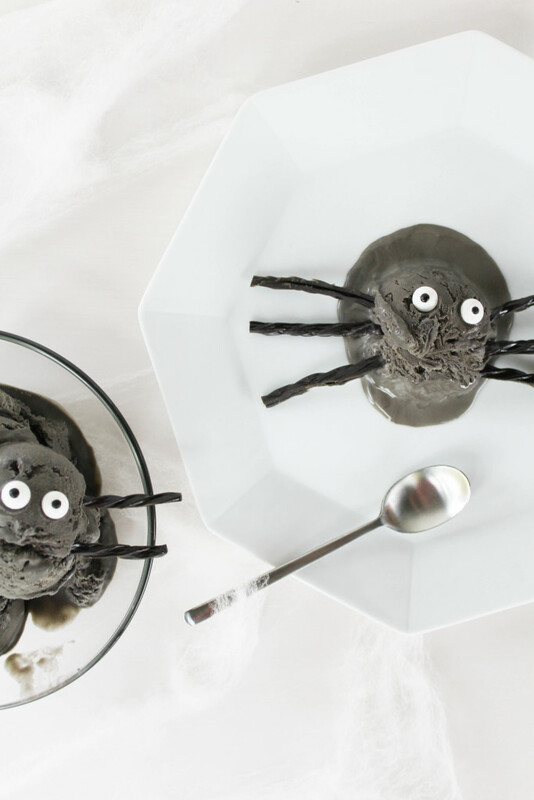 They make the perfect Halloween dessert if you ask me. 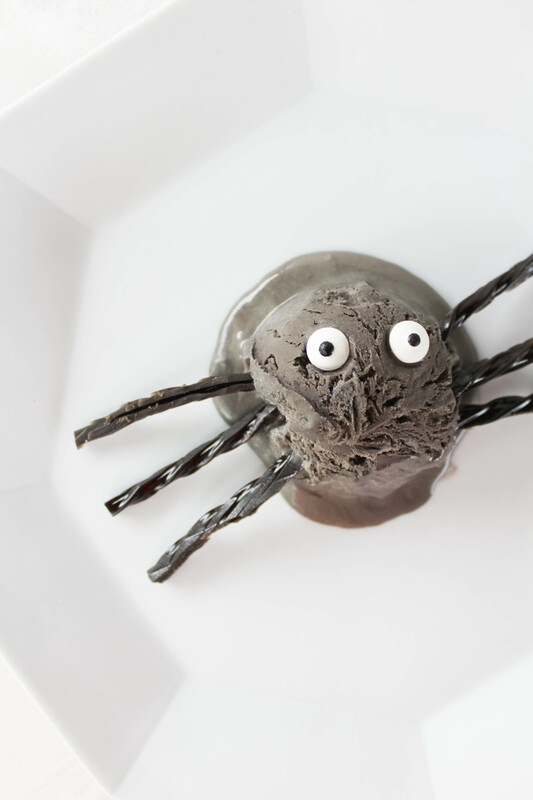 Or even a great treat to enjoy after trick or treating is over. Place your water into a small saucepan on medium heat. Add your black licorice pieces. Stir frequently to prevent burning. As the licorice heats up, it will melt down and become thicker. It takes about 20 minutes to get to the right consistency. You can wait until the licorice is melted completely, but I left a few small pieces whole. Once your licorice has reached the right consistency. Remove from the heat and place into the fridge to cool while you move onto the next step. Once your cream is whipped, remove your black licorice mixture from the fridge and pour it, and your sweetened condensed milk into the cream. Add drops of the black food coloring and stir until you have reached the desired color. I allow my ice cream to freeze overnight to achieve a really firm texture. 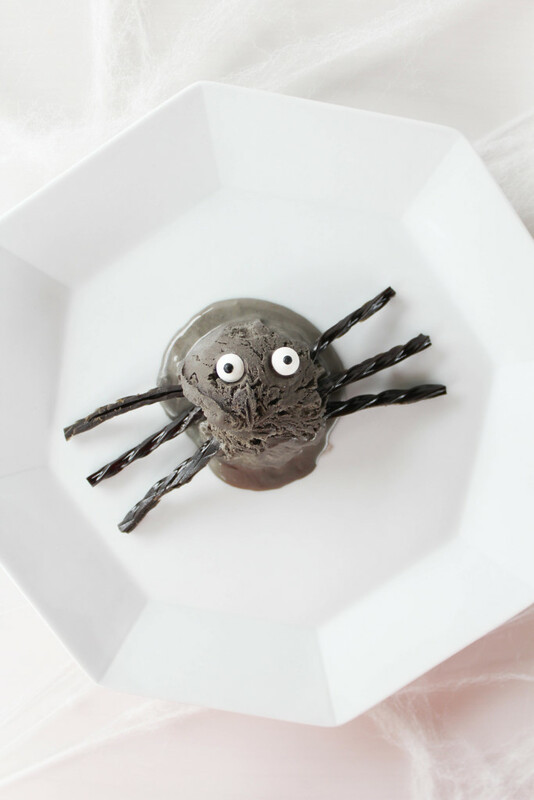 When you are ready to serve, scoop into a bowl or onto a place, cut up and add some of your remaining black licorice strips into the sides of the ice cream scoop for legs, and add two candy eyes on top. Eat and enjoy some creepy crawly and delicious black licorice ice cream spiders!